The Sixers began their four-game road trip with a 123-116 loss in Phoenix last night that easily could have been their eighth win. Eric Bledsoe scored 16 of his 24 points in the fourth quarter and had 11 assists for the Suns, who snapped a four-game losing streak. Devin Booker added 23 points for the Suns, making four 3-pointers, and T.J. Warren scored 19. Joel Embiid (above), the highest-scoring rookie in the NBA, scored 27 points for the 76ers. Sergio Rodriguez added 21. The Sixers led by as many as 14 in the first half and was up by 13 at the break. The Suns built a 14-point lead in the fourth quarter before it was cut to four in the waning seconds. 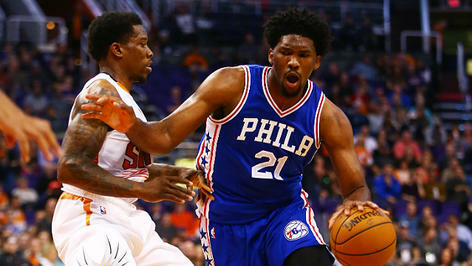 The Suns outscored the 76ers 70-50 in the second half, 42-31 in the fourth quarter. Phoenix’s 123 points were a season high. Phoenix took control for good with a 19-7 run that began with 8 1/2 minutes to play and ended on Warren’s 3-pointer that put the Suns ahead 109-97 with 3:38 remaining. Trailing by 13 at the break, the Suns made four 3-pointers, two by Booker, to open the second half with a 16-2 run, briefly taking the lead at 69-68 on P.J. Tucker’s 17-footer. But Embiid sank a 3 at the other end and Philadelphia never trailed again in the quarter, leading 85-81 entering the fourth. The 76ers had their highest-scoring half of the season, leading by as many as 14 and taking a 66-53 lead at the break. Philly shot 52 percent in the first two quarters and was 16 of 16 from the foul line. T.J. McConnell’s 3-pointer put the 76ers up 51-38 with 6:01 left in the half and Embiid’s 15-footer gave Philly a 61-47 lead. Phoenix cut it to eight but Philadelphia scored the last five points of the half, capped by Rodriguez’s 3 to make it a 13-point game at the half. Previous SHUT OUT OF NATIONAL TITLE GAME, PENN STATE WILL MAKE A STATEMENT IN ROSE BOWL! Next CHECK OUT PIC OF SIXERS’ EMBIID POSTERIZING A SUN! 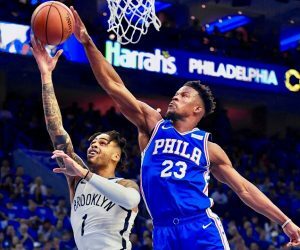 SIXERS-RAPTORS TENTATIVELY STARTS SATURDAY AND MONDAY! 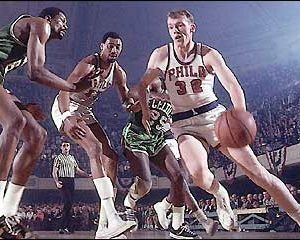 52 YEARS AGO TONIGHT: SIXERS WIN NBA TITLE, APRIL 24, 1967, WATCH! SIXERS HEADED TO SEMIS: CHECK OUT COOL WIN AND ADVANCE VIDEO! 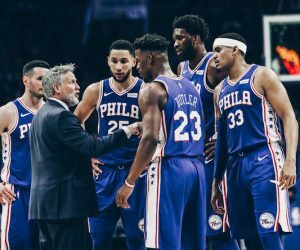 WE CAN WIN NBA TITLE, SIXERS JOJO SAYS, WATCH! UP 9-0, METS HEAD-HUNT PHILS’ RHYS HOSKINS IN 9TH, WATCH! WATCH RHYS HOSKINS CRUSH HIS TIED-FOR-PHILS-LEADING 6TH HR!